The Phoenix is a literary arts magazine published annually by the English Department at Milwaukee Area Technical College. Its purpose is to provide a creative outlet for students, alumni, faculty, and staff. A faculty committee selects the best short stories, essays, poetry, art, and photography for publication. Thanks to the generosity of the MATC Foundation, cash prizes are awarded for the best poetry, fiction and nonfiction as well to the cover artist. 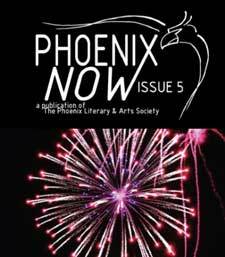 The Phoenix welcomes submissions of fiction, nonfiction, poetry, art, and photography. If you would like to submit a literary or graphic art piece or pieces, please use the Submit button in the above menu bar. On this page there is a form to submit your piece electronically or by postal mail. We much prefer electronic submissions. Production is provided by the MATC English Department as well as by MATC Printing Services. The current printed Phoenix magazine is available at all MATC Bookstores. A special thank you to the 2011 Phoenix faculty advisor, Stephen Turner as well as our two faculty readers, Monroe Lerner and Jason Kolodzyk.